Oh Yes! 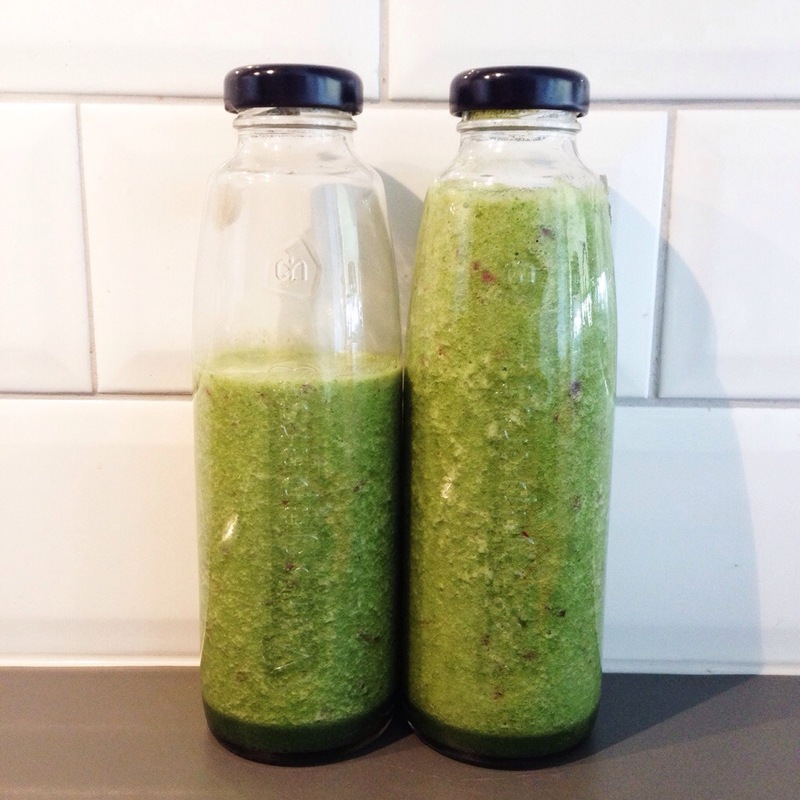 The Green Smoothie love goes on, are you with me? My blender and I are the greatest friends lately and slowly it found it’s way to a permanent spot on the countertop. Almost every morning I put in some greens and some fruit and mix it up into some green good stuff! Today a super hydrating and tropical smoothie with coconut water, spinach, pineapple and grapes! delicious! Add all the ingredients to the blender and mix until smooth! I mix it for quite some time so I’m sure the smoothie is really smooth and there are no chuncky bits left. 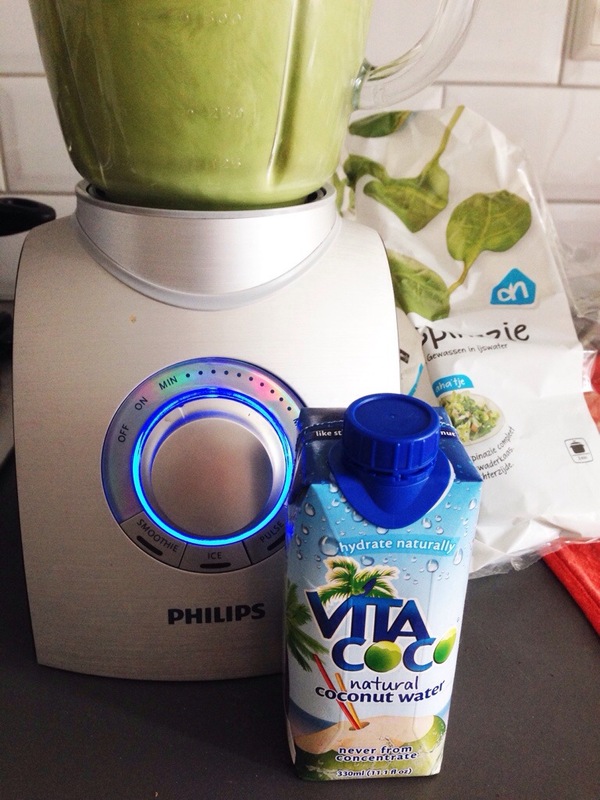 For this smoothie I used one package of Vita Coco coconut water. In the smoothie I used the natural version. 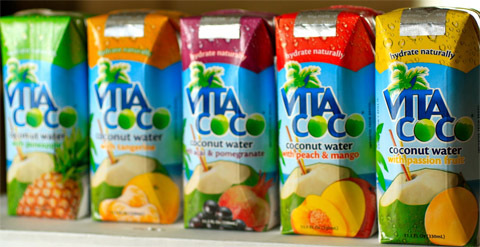 Vita Coco also sells a few flavoured coconut waters. Awesome as a refreshing and super hydrating drink! Perfect after a tough work-out or on hot summer days when sweating a lot! Coconut water is not only super hydrating, it also provides you with vitamins and minerals! Posted in Juices and smuices, recipes, VeganTagged dairyfree, fit, food, fruit, glutenvrij, healthy, healthy lifestyle, natural, raw, recipe, smoothie, soyfree, sugarfree, suikervrij, vegan, vegetable, vegetables, vegetarian, veggie, veggies, zuivelvrijBookmark the permalink. Ik wil jouw blender! Is ‘ie fijn? Hij ziet er namelijk echt goed uit! Ja, heel fijn! Lekker krachtige blender en grote glazen kan! Is van Philips, wel een wat duurder model, maar wel superfijn!